Beyond the Primary Task – leveraging user pain-points in medical products and services. Many people understand human factors to be solely related to the manual handling of objects. While important, focussing only on the primary task and device can mean medical device manufacturers fail to see the bigger picture. When a seemingly great product falls behind competitors, the reasons are often unknown. As a UX designer specialising in medical devices at Frontend.com, I have been able to uncover some of these reasons by taking a holistic approach when researching human factors for a product. Let’s look beyond the primary task to uncover some examples of user pain-points and opportunities with medical products and services. One of the biggest complaints of time-strapped Health Care Professionals (HCPs) regarding products is the extra work they create; a product that adds extra time during training, setup, usage, or post usage is at a disadvantage. Some examples of this are the complex set-up of medical devices in clinics, training patients on home devices, or post-treatment recording, monitoring, and analysis of patient data. Clinical devices that simplify the set-up procedure, enabling hospital staff to efficiently complete the task, will reduce costs for medical device manufacturers. For home devices, a well-designed training kit might make one device more prescribed than others. Post-treatment analysis time can be reduced by automatic data syncing, recording and transfer of data, and filtering and presentation of data for quick analysis. While the technology revolution has overall added to HCP’s workload, carefully designed software products can decrease the time spent on certain tasks, for example, through guided set-ups, troubleshooting, and contextual prompts to guide tasks. The packaging is often an overlooked part of a product. When considering size, smaller is usually better. This is particularly the case if the product is going to pharmacies, which use fixed-size transport crates and have limited shelf space. Packages that do not fit in containers can get damaged in transit, or the pharmacy may not stock much of the product resulting in potential loss of sales. In clinical environments, larger packing boxes may need to be stored far away from operating theatres. Disposal of waste packaging within the hospital can equally add friction to the user experience and may have an impact on preference for devices at the lower end. Considering the specific transportation, storage, and display constraints for your product may reduce damage and increase visibility. 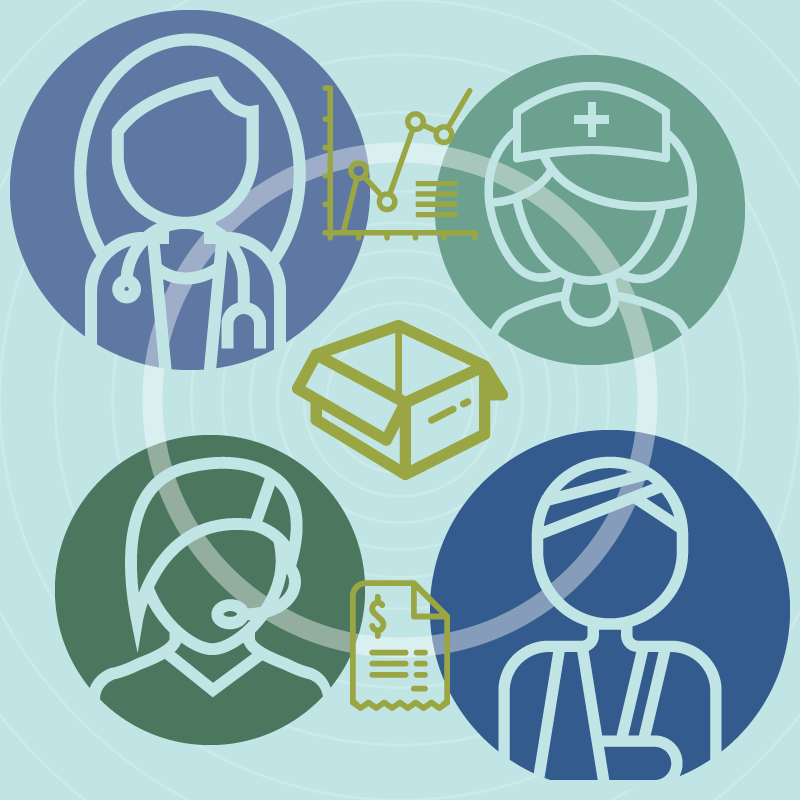 How easily and quickly can HCPs or patients source supplies or help from the manufacturer? For patient devices, inconvenience in the procurement of supplies may result in HCPs not recommending a particular product. Frustrating experiences with clinical products and services where customer support is suboptimal can leave a poor impression of your brand. Providing contextual help and support during the product lifecycle and usage is useful, for example, automated reminders to order supplies on smart devices, or quick links to support during device troubleshooting. For patients, well-structured care plans which provide front loaded support that tapers may lead to better patient adherence outcomes. Do you have a complex billing process? This may not only result in extra time required for hospital administration on calculating and mapping costs to procedures but worse, it could cause mistrust in your brand. Providing relevant billing information at key times, and easy mapping of billing IDs to devices, services, procedures, and supplies may reduce calls to your support centre in addition to increasing trust in your brand. This article highlights a few common touchpoints for opportunities with medical devices and services. For every product, there are unique insights to be found. Do you know the user pain-points with your products and services?